All things considered, I had a pretty good weekend! (What a boring blog post title, right? I just couldn't think of one today.) On Friday, I went up to Detroit for a few hours, which is one of my favorite places to be. If it was warmer, I would have loved to walk the Riverwalk (my favorite place to relax and enjoy some free time without an agenda). My friend Andrea has never walked the Riverwalk, so when the weather is nicer, I want to take her there. On Friday night, Jerry and I had a mini date night (we didn't really do anything special, but the kids were with my dad so we had the evening to ourselves). On Saturday morning, I asked Andrea if she'd want to exercise in the pool after I got done with my run, and she said sure; so, I packed a couple changes of clothes (running and swimming) and went to the rec center. The parking lot was packed, which was unusual for a Saturday morning. When I went inside, I saw they were having a wrestling tournament, and the rec was closed until 9:00 (it was 8:05). Since I was already dressed to run, I just went home and decided that I would still run and then drive back to the rec to swim. (On Thursday, I had bumped into Renee at the rec center before my run, so we ended up running three miles together. I had turned off the heart rate alert on my Garmin, because I always tend to run faster with Renee than I would otherwise, and didn't want the alarm going off constantly. I was worried about slowing her down too much, but it was nice to run with her--the time went by so fast!) Anyway... the point is, my heart rate alert was still turned off, so on Saturday, I decided to ignore my heart rate and just run however my legs felt like running. It was freezing outside! I had been dressed to run inside, and all I did before going outside was throw a light jacket on. I should've grabbed a hat and gloves. But, I ran my three miles at a relatively fast pace (compared to my normal heart rate training, I mean). And it actually felt really good when I was done. Immediately when I finished, I grabbed my bag for the rec center and headed back up there to meet Andrea. She showed me some exercises she's been doing in her water aerobics class, so we did some of those, and then put on our Aqua Joggers and went in the deep end. Later that afternoon, Andrea came over and we just hung out at my house all day--the time went by so fast, and we had a lot of fun. Becky (my sister-in-law) ended up stopping by later, too. It's awesome to watch as her belly gets a little bigger each time I see her--nephew baby is getting big! :) Even though the night was low-key, we had a lot of laughs, which was very much needed (for me, anyway). 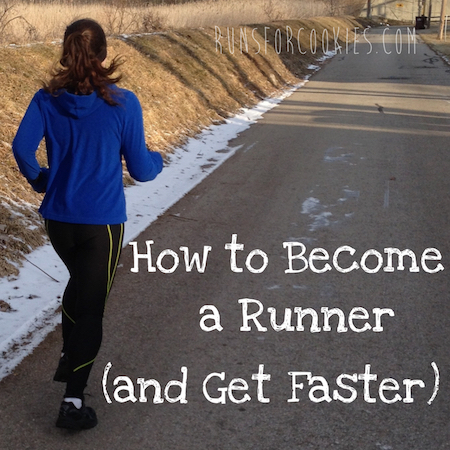 In the morning yesterday, I was tired and just didn't feel like doing my "long run" (I put that in quotes, because right now in my training, my long run is just four miles). But, it looked sunny outside, and NOT windy, which made me dread it a little less. I got dressed and as I was getting my shoes on, Joey started getting super excited. I have no idea why, because I never mentioned taking him with me, but he was acting as if I'd already told him he could come. He like, "Wait... did you say you're going for a run?" Taking Joey on a run is not easy--I would take him all the time if he didn't pull on the leash, but he insists on running directly in front of me with a taut leash, and then he zig zags as he sees interesting things. If he stops running, I either accidentally kick him or I trip over him. Haha! However, he absolutely loves to run with me, so I do take him when I'm feeling patient. When I saw him getting super excited, I didn't have the heart to tell him that he wasn't coming, so I decided to just let him come. 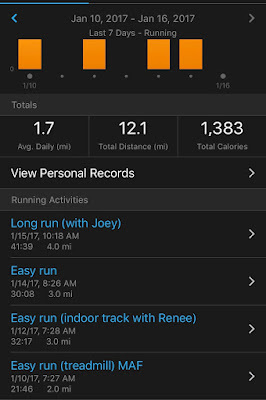 I threw out any expectations I had of my run, and just figured I'd make the most of it. As soon as we started running, Joey acted exactly as I had expected--pulling me along (not hard, but enough) and zig-zagging right in front of me. However, I didn't feel at all irritated. This is the whole reason I'm even going into the this boring story--in a situation where I normally would have gotten frustrated and irritated, I didn't care or let it get to me. Throughout the whole run (four miles), there were so many times I noticed that I just felt content--not giddy or anything, but not down at all. It may still be too soon to notice a difference, but I really think that it was the new medication that helped my mood. Like I said--any other time, I would have sworn to myself that I would never take Joey on a run with me again (something I've thought several times in the past! lol)--but instead, I just kind of thought, "It is what it is" and I enjoyed the fact that I was running with my dog and my dog was having a blast. That's one of the things I like to tell people who are worried about trying an antidepressant... the medication doesn't make me feel "euphoric", "high", or super happy or anything. It just makes me stop and think one day, "Hm, I haven't feel sad today--that's cool". And maybe a few weeks go by, and then, "Wow, I actually can't even remember the last time I cried..." It doesn't make me walk around with a big goofy smile all the time, but it does make me feel more "normal" and not overreact. It sounds silly, but taking Joey for a run and not getting frustrated was enough to make me notice my mood has improved. I'm very happy with that, so I hope I continue to notice the little improvements here and there. It's feeling good to get back on a running schedule. It has been VERY difficult to get myself going because of my depression, but if I want to train for Indy, then I don't have a choice. It's interesting, because this is exactly how I started exercising back in 2010. 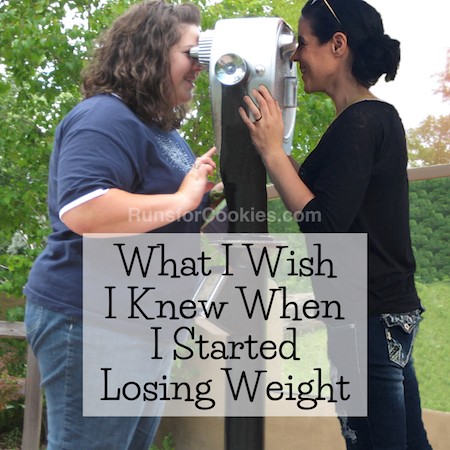 I always hated exercise, and I lost the first 60 pounds without it. And then I signed up for Indy (to walk it with my sister), and I knew I'd have to train for that if I wanted to finish without getting a stress fracture or something. I stuck to my schedule, and I think I only missed one walk throughout the entire plan. Somewhere along the way, I actually really started to enjoy the way exercise made me feel, and the reason I continued doing it was for that reason. And this time is no different--I have to make myself do it at first, but I'm already started to enjoy it more and feel the benefits. I also went "swimming" twice at the rec center (I put that in quotes because it was basically floating and talking, and not much swimming, haha). Anyway, I feel good about my training from last week, and I'm hopeful that this week will be just as good, if not better. I also feel good about this new medication, and hopeful that things are turning around for the better now :) Hope everyone had a great weekend! Not feeling frustrated and overreacting to things is what I have noticed about being on a antidepressant too. Makes life much more pleasant! Yes! It was so nice to just feel calm and relaxed, even in that situation. Thank you for sharing that! It's a well-written article, and definitely something to think about. I know I had hormones tested recently, but I don't think they tested cortisol or some of the others that were mentioned in the article. Interesting! Found your blog recently and am enjoying your archives very much. Thank you for being so open about your journey. 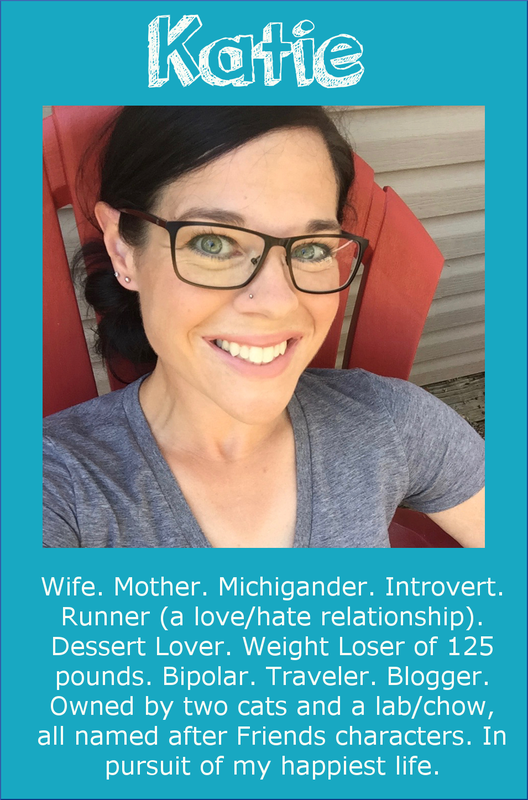 I was wondering if you could share a little bit about how you found a therapist that deals with emotional eating/disordered eating? I found that therapists who don't specialize in eating disorders just don't "get" it. Did your doctor recommend someone? Trial and error? It took a lot of courage to see someone last time I tried, and i walked out feeling deflated because there was no connection. Would love to hear your thoughts. Thank you! I have to stress this: you may have to "shop around" for a therapist! My friend told me that it's like dating--you go on several first dates, or even second dates, until you find someone you click with. I was lucky in that it only took two therapists to find one that I love, but I'm really glad that I didn't give up after the first one. The only reason I chose her was because a friend highly recommended her. 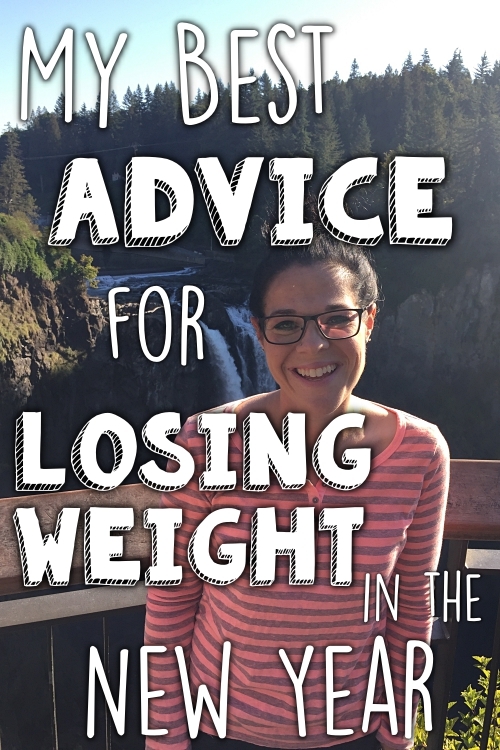 She does not specialize in eating disorders, but she has dealt with weight issues as well, and she knows the struggle. Anyway, don't give up! Just ask people you know for recommendations, or pick someone out of the phone book (do phone books still exist? haha). You'll find someone that you click with eventually! I wondered if your mood boost might have something to do with the double workouts the day before, and especially that one of them was a higher intensity than you usually do? Anyway, so glad you had a good day! I enjoying reading about your journey. You are an inspiration to me. I am not a runner but I have been walking 2-4 miles a day since reading your blog. I wouldn't be able to resist that precious Joey face either- and glad you are feeling some improvement! Not to get too personal, but I've struggled with depression for many years and have been off birth control pills for three years now (was on them for 17 years prior). Personally, at this moment, I am feeling the least depressed ever and I wonder if it's being off birth control pills? Not sure if maybe this is a factor for you but thought I'd mention it as it seems you have mentioned some depression struggles more than typical for you. Depression is no fun and I hope you feel much improved, whatever it takes! That's a good observation, and I think it's great that you're feeling better since stopping them! I actually haven't taken birth control pills in about 13 years (! Geez, am I that old?!) because my husband got a vasectomy after we had Eli. TMI? :) I'm still just not sure what caused the depression to get so bad this time. Hoping I'll figure that out in therapy! I hope it helps - it usually does, although it sometimes takes time! I admire your perseverance. Some days can be such a struggle, but you just keep swimming! Thank you so much for all your inspiration! Katie, so happy the new med seems to be helping. I know what you mean about not really noticing that you're feeling sad, or NOT feeling sad, but it is so nice NOT to feel sad. I am not prone to depression, but I get irritated sometimes, and I wish I wasn't like that, because I take it out on my hubs, and he's got enough to deal with (cancer), and I know I will regret being short and snippy with him someday. Although those days when I'm feeling aggravated don't come often (Thank Goodness! ), it makes me understand more when you say you don't seem to be feeling sad as often right now. My oldest son fights depression. He's 44, and was diagnosed with epilepsy, after suffering a couple seizures about three years ago. He thinks the meds he takes to keep from having seizures depress him. He talked to his neurologist about it, and the first guy's advice, "Just don't think those dark thoughts." He has changed neurologists since then, but still has not been given any meds to combat the depression. The seizure medicine is doing the job as far as no seizures however, and for that we are so grateful. I think having a goal is important. I know that first therapist told you NOT to have goals, I think you've changed therapists maybe a couple times since that one. 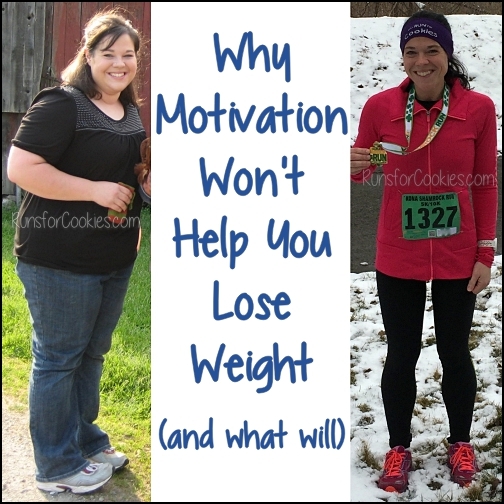 I bet having the goal of being in shape to run the marathon in May will help get you back to your goal weight. I know last year when I wanted to lose weight for my youngest son's wedding, and had that as a goal, it sure helped me stay on track. Right now, I have no goal and I am floundering and binging (and gaining). My oldest son told me he signed up for the local half marathon which is held in Lincoln (where we live) in May. He said he needs something to work towards (that "goal" thing), cause he has gotten really bad with his running. He is my one son who successfully fights his weight. He was always the skinny one, but as he has gotten older, he has to consciously fight the battle of the bulge and is pretty successful--eating right and running, usually pretty regularly. My middle son is super morbidly obese. I really worry about his health, he will be 40 this year, and I know it was about that age, when all the health detriments of my obesity began for me--sore joints, high blood pressure, etc. My youngest son has lost weight successfully several times in the past, and looked so good for a while (he has never been as heavy as my middle son), but he couldn't manage to stick with a plan to lose weight before his own wedding last Oct. We even joined WW together last April, but his bride wasn't interested in dieting (and she really could stand to lose a few pounds too--don't tell her I said that), but he didn't follow through like I did, in fact he gained weight during the time I was losing leading up to his wedding. Anyway, sorry this is so long, but you know I think of you as my pseudo-daughter, and worry about you when you're struggling and cheer for you when you succeed. I feel like we've been through so much together, losing weight, losing loved ones (my Dad, your friend Mark), gaining weight, trying WW, trying to lose weight with My Fitness Pal and Spark People, and although I've never been a runner, I do a lot of walking, and have gotten entirely out of that habit too. Since Christmas I have gained 15 pounds, and really need to get it back off before it becomes 53 lbs. like happened last time. I think I need to set something as my goal, so I have something to work towards. Maybe I should sign up to WALK the half marathon in May, like you used to do. Just a thought. Keep it going Katie, I hope you continue to see improvement with your new medication. Ugh, I despise when people say, "Just don't think those dark thoughts"--if it was that easy, nobody would feel depressed! I'm sure nobody WANTS to feel that way, but it's not a matter of sheer will. I'm so sorry that you have to watch him go through that. One of my biggest fears is that my kids will have depression. All I can do is make sure to take it seriously and treat it early if it happens. I'm now realizing that a lot of the things the first therapist told me weren't right for me--like not having goals. It was when I quit having goals that I started gaining weight quickly and getting more and more depressed. Now, when I think about goals, I just don't feel motivated enough to work on them. It's going to take a while to "undo" those thoughts. Hey Katie! Have you tried a harness for Joey? A friend gave me one. I think it's called "gentle lead" and it has changed my life!! I have a 110 pound Great Dane and walks were dreadful until I got this harness. 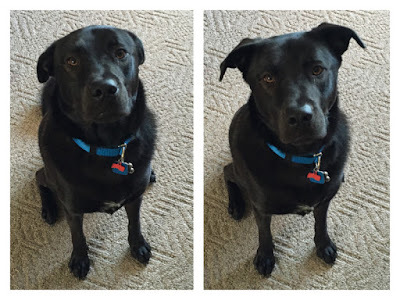 The leash hooks under her chest versus on top her back. It is amazing and allows me much more control on walks. It took a little while for her to get used to it but she doesn't mind it at all now. I can't believe a dog harness is life changing but I mean it! I just wanted to stop here and say Hi. I found out about your site from the Netflix Fat to Finishline. Your story is the same as mine. I was 302 pounds and after standing 3 hours in line for a roller coaster at Cedar Point I could not buckle the seat belt. Then my husband and I went on our honeymoon in 2009 and I could not do much of anything that we wanted to do due to my weight. After that I was fed up and ready to change my life. 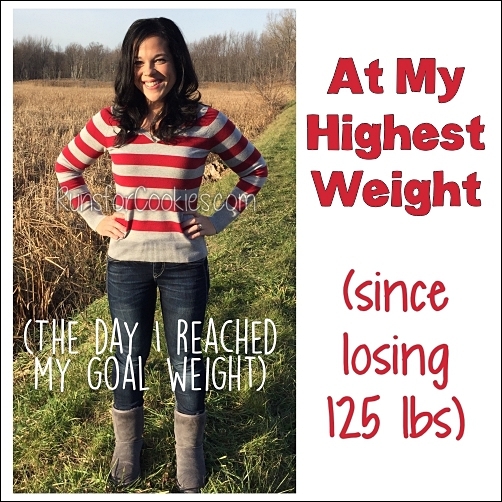 I now have lost 145 pounds and even have kept it down during my 2 pregnancies. I am just jealous that I did not see anything earlier so that I could join in on the race with you all. lol I have ran the tough mudder and the warrior Dash a few times and have had a blast with them.